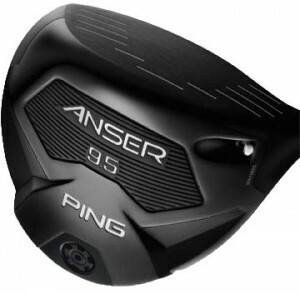 Home EquipmentDrivers Want To Test The PING Anser Driver? At THP, we believe that testing should be done not only by us, but also by the wonderful forum members and we have another new testing project. One of the cool features about being an active member of the THP Forum is that we look to you guys/gals, the consumers, to give feedback on equipment to golfers all around the world. Each month we send out iron sets, drivers, putters, trainings aids and golf balls to our active members to be a part of the THP Forum Member testing. This new driver line from PING has people talking on THP. Lots of people have tried them out briefly and came away impressed. THP wants to learn what people have to say long term and if the early buzz continues, PING will have a winner on their hands. You must be able to play golf (either on course, driving range or indoor facility). 3 Forum Members will be selected to participate along with THP Forum testing moderator KMac. If selected it will be your job to test the driver out (minimum of once per week) and update the official testing thread with feedback on your findings. You must be on the forum to answer questions throughout the testing period as well as discuss the new driver thoroughly. This is long term testing and will need updates for a period of a couple of months. Thank you to PING and THP for this incredible opportunity to test this beauty of a driver! Awesome opportunity thanks to PING Golf & THP! Really looking forward to seeing whom is selected and what loft/shaft combo they are setup with, etc and then following along. Awesome stuff from PING and THP. Thank you PING and THP, I love the look of the ANSER Driver. I would love to take her for a spin! Thanks to PING and THP for this awesome opportunity. I’m looking forward to seeing how the THPers selected get along with the Anser! this is great, I love to see companies who are confident enough in their product to send them to people for completely unbiased testing like this. Thanks PING, I cant wait to follow along with this testing. It’s great to see Ping back again, I love that company. Always pleased to see a company with the confidence to put their gear out there for testing. Looking forward to the results. I already know I like the look, here’s hoping the performance matches. Awesome, its time to anser the challenge and test a great looking new product from Ping. Good to see Ping back again with another round of testing. Excellent opportunity! Thanks Ping and THP! Nice opportunity. I’m a Ping fan. This is going to be special! Big thanks to Ping for putting their faith in THP product testing yet again, and good luck to the testers! Awesome opportunity for three THPers to test, and more importantly for many of us to benefit! I’ll be completely honest – I don’t think I’d have ended up with an entirely new bag of PING i20s (everything but driver and putter) if it weren’t for the THP testing that was done. Knowing that “real people” tested them over the long haul was critical. Thanks to PING for the opportunity and for having the guts to put their clubs in the hands of regular players who will report the successes – and as importantly struggles – that come with the club. Thanks PING and THP. I look forward to reading the reviews and, if really lucky, testing the Anser out! What an amazing opportunity from Ping and THP. This looks like an amazing driver and I can’t wait to hear what the lucky THPers have to say about it!!! I certainly have enjoyed the PING forum testing in the past and I’ll certainly look forward to this one in the future. This driver is receiving a tremendous amount of buzz so it’ll be nice to read about the paces they get put through via some forum members. An incredible opportunity for testing! THANK YOU to PING and THP!! Great testing opportunity from PING and THP! This is an amazing opportunity, huge thanks to THP and Ping! Thanks Ping and THP for this testing! I’m sure the testers will do a fantastic job getting all the information out on this driver. Really looking forward to it! Wow, looking forward to this one for sure! What a sweet looking driver! Thank you THP and PIng. I hope this feedback thread gets huge, I’d love to see lots of activity on this one. Thanks PING and THP. This driver is so clean and adjustable. This will be a unique round of testing. Thank you to Ping for allowing this first hand look at the new driver. Awesome to see this testing!! BIG thanks to PING and THP. I really like the looks of PING’s first dive into the adjustable market. I love the black stealthiness on this baby! Good luck to those who sign up for testing and please lie about the performance if you’re chosen. I do not need to part with the $$$ but I’m really liking the Anser line-up. i really want to test this out maybe make a video would love to long drive my buddys thanks again.THP and the Ping Staff. What a fantastic opprotunity from Ping and Thp ! Awesome opportunity and I couldn’t agree more that testing clubs is an essential part of the game. I recently had trouble finding demos to try on the course when I was buying clubs myself, so I thought it would be a good idea to offer a service that provides demo clubs to people. It’s called Golf Demo Club. We are still a few weeks away from launching, but I’d love to get some input as to what golfers would like to see from a service like this–club selection, pricing, etc. Feel free to leave your email address at the site if you want us to let you know when we are open for business. Any and all feedback would be extremely helpful. Thanks all! Awesome. Thanks Ping and THP. Looking forward to the testing for real golfers by real golfers! great oppurtunity, would love to be a tester. last time I hit a ping driver it was a brand new G2. thank you to thp and ping for the testing oppurtunity. I would love to get involved and do some testing for THP. Been away for a while but I’ll be back on board a bunch! Love the G20, so I am very excited about this. Thanks.